Hazelton Wall combines sleek and contemporary with traditional stone elements. 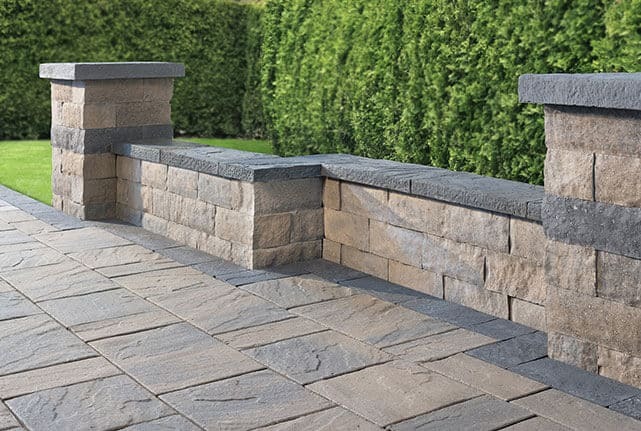 This double-sided wall is ideal for terraces, firepits and garden walls; Hazelton Wall is the ideal wall to make a statement within your landscape. With interchangeable cap products available, Hazelton can complete and compliment any landscape design and style.